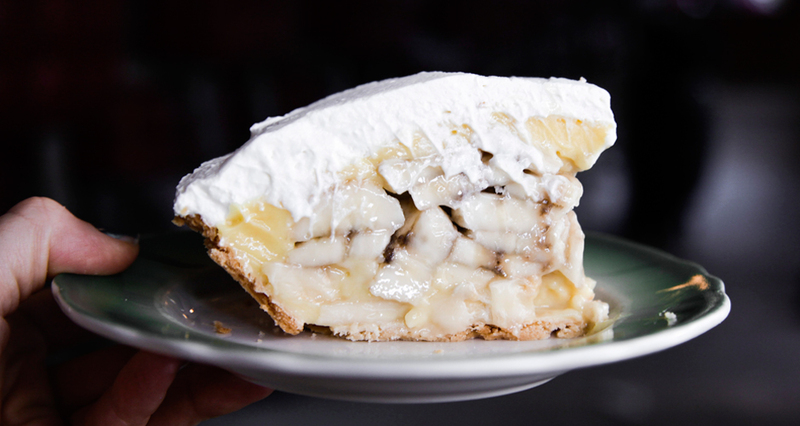 The Apple Pan's patties and pie are legendary—but so is the loyal staff, who have helped turn the Los Angeles burger joint into an institution. 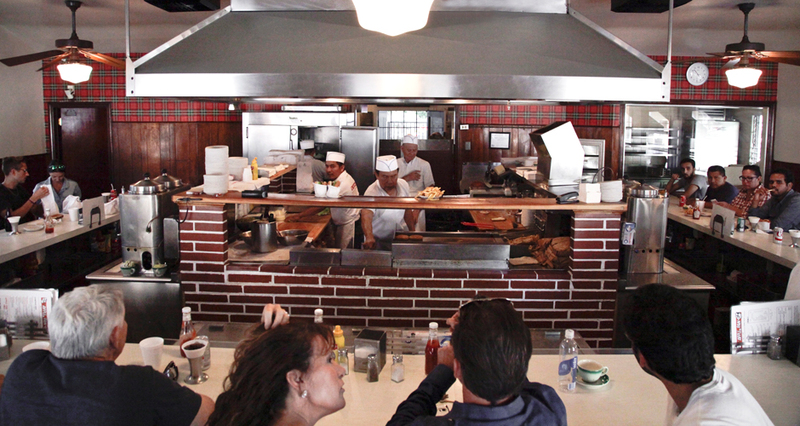 In a city that offers patties laced with bone marrow and topped with pastrami, what makes Angelenos return time and time again to a no-frills, old-school spot like The Apple Pan? There’s no air conditioning (the nearly 70-year-old building won’t support it), the menu has barely changed since the restaurant opened its doors*, and there isn’t even a salad. 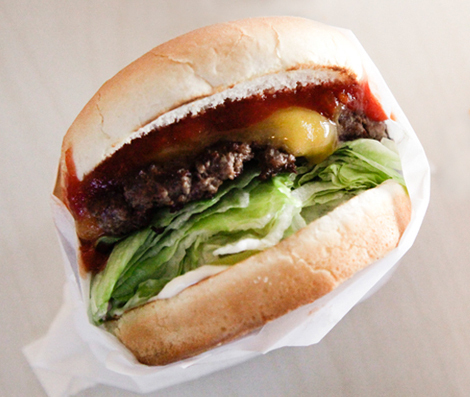 Sure, people come for the Hickoryburger slathered in a smoky and tart ketchup-like sauce, piled high with lettuce and wrapped neatly in wax paper. 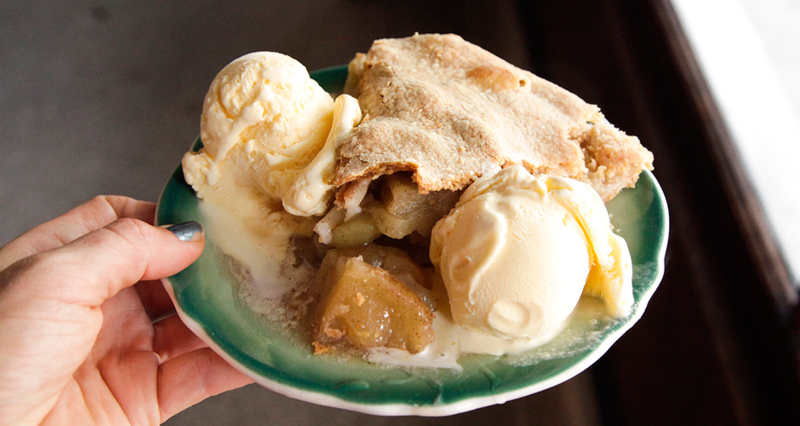 They also come for the apple pie, made from the owner’s great grandmother’s recipe. 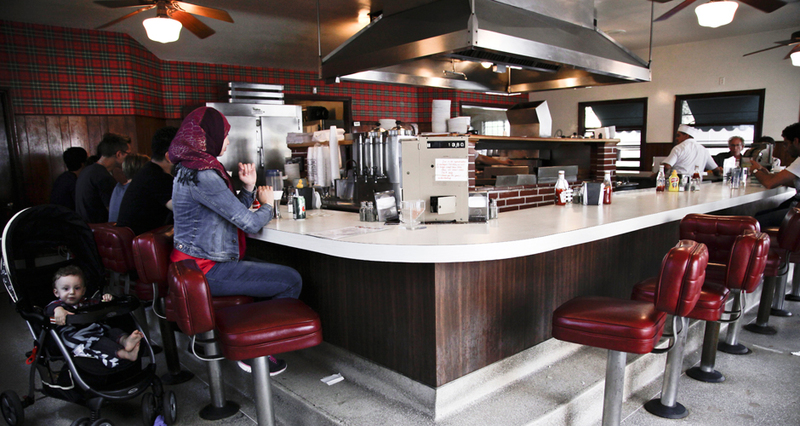 But it’s The Apple Pan staff—most of whom have been working at the restaurant for over 25 years—who are responsible for turning the lunch counter into an institution. 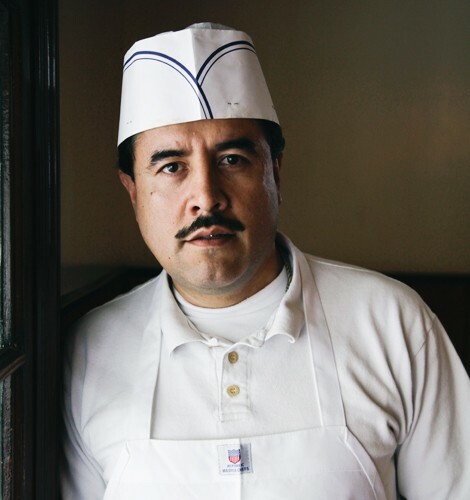 Jorge Molina began working at the West L.A. lunch counter in 1997, when he was 20-years-old. He had no kitchen experience—his previous jobs had been as a cashier at a gas station and a bus boy at an Italian restaurant—but he quickly learned how to build Hickory and Steakburgers the Apple Pan way. “It’s like you’re married to this place,” says Molina. 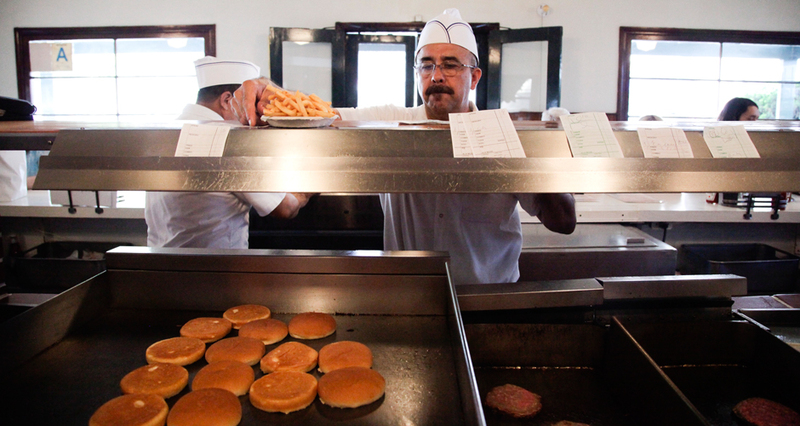 “You spend at least 54 hours a week here, so you spend more time here than at home.” Molina and his Apple Pan cohorts are the eyes and ears that have witnessed everything over the course of The Apple Pan’s history; their service and keen attention to what customers need at any given moment is as much a part of the experience as the burger itself. 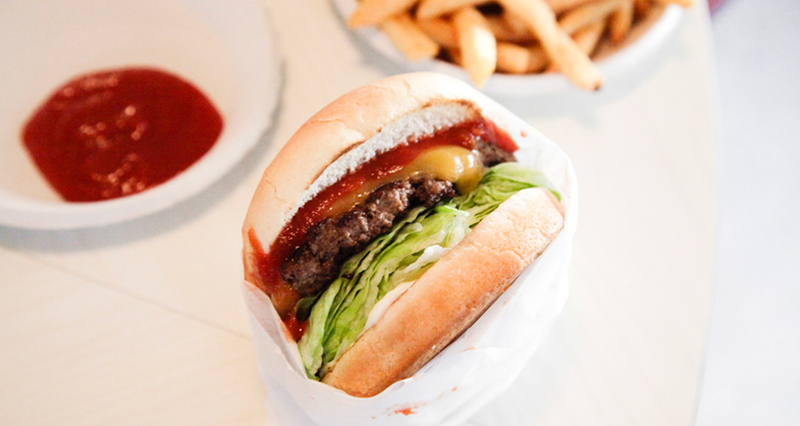 Besides being a neighborhood hangout, the humble burger joint is also a favorite of the Hollywood elite (although most regulars would say they feel like they receive the Brad Pitt treatment too). That type of loyalty is contagious. 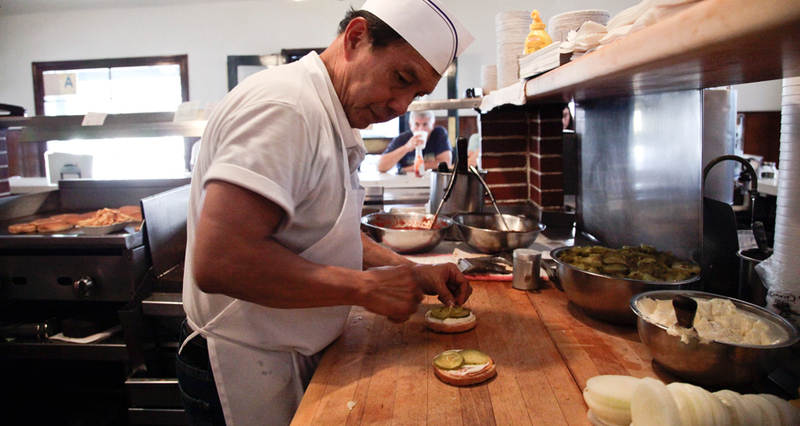 Molina says about seven of his customers come to The Apple Pan at least three times a week. One of his regulars even proposed to his wife there; he asked Molina to be his witness while he gave her the ring. 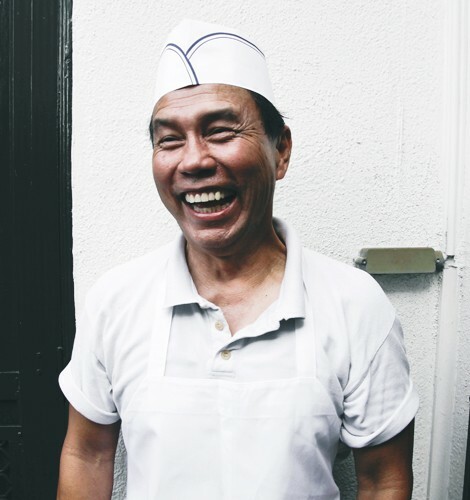 We chatted with four employees about how long they’ve been working at the restaurant, their go-to orders, and the celebrity they’re most excited to see walk through The Apple Pan’s double-screen doors. How he keeps his skin so nice: No sugar or alcohol. Gym every day. 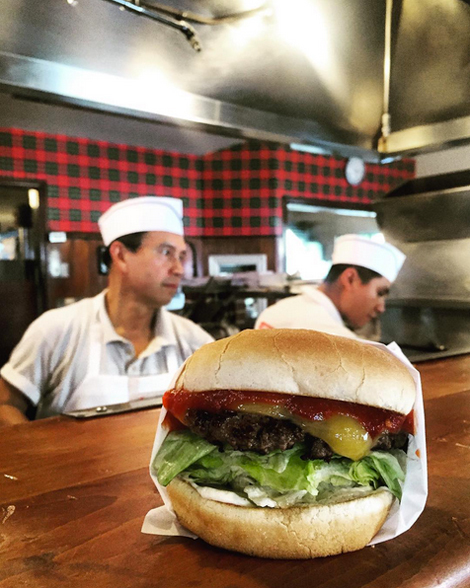 Jorge’s go-to order: Steakburger with cheddar. No pickles and relish. 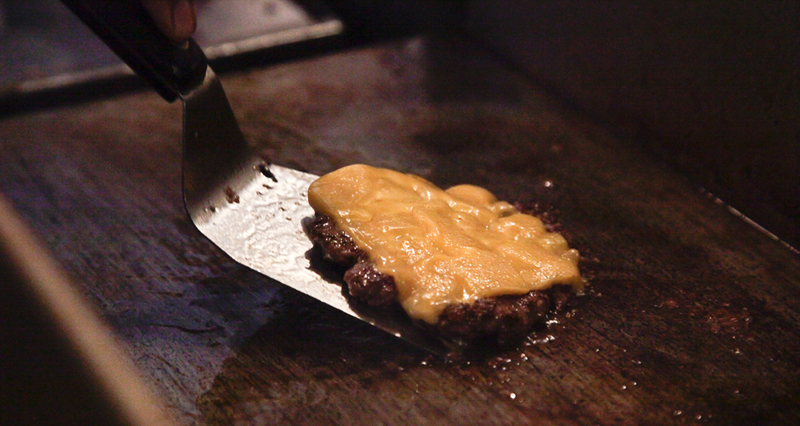 Add ketchup and grilled onions. *There has been one change to the restaurant’s original 1947 menu; Kelly’s corned-beef sandwich is no longer on it. 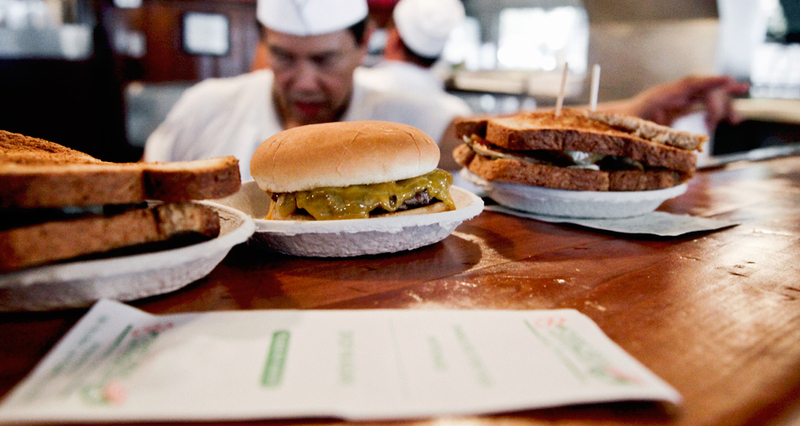 The Apple Pan burger patty is 95% lean meat and 5% fat. 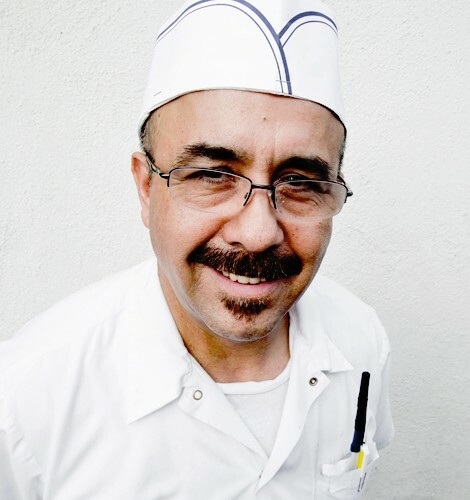 Victor Vetayases started working at The Apple Pan in 1975.